Practice the questions given in the worksheet on multiplication table of 1. The questions are based on finding the product using the multiplication table of 1. 1. Count forward by 1 from 1 to 25. 2. Count backwards by 1 from 25 to 1. 4. Find each product using above multiplication table of 1. 5. A daily wage worker gets 1 dollar per day. What will be the wages of 5 such workers per day? 6. Mitchell bought 7 packets of Biscuits, each containing 1 Biscuits. How many biscuits did Mitchell buy? 9. (i) What are 1 threes? (v) What are 4 times 1? (ix) What is 1 multiplied by 11? (x) 6 multiplied by 1? 10. What does 1 × 12 mean? What number is it equal to? 11. The cost of a small note-book is 1 dollar. What will be the cost of 9 such small-note books? 12. There are 10 sections on a school. If there is 1 student in each section, how any students are there in the school? 13. (i) How many one’s in 9? (ii) How many one’s in 5? 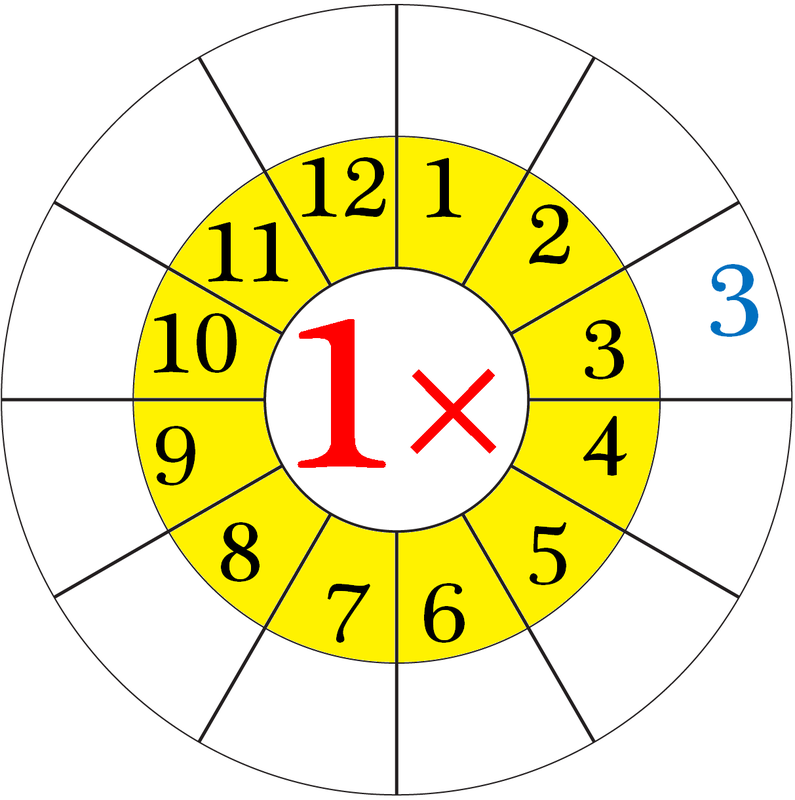 (iii) How many one’s in 11? Answers for the worksheet on multiplication table of 1 are given below to check the answers of the above multiplications. 1. 1, 2, 3, 4, 5, 6, 7, 8, 9, 10, 11, 12, 13, 14, 15, 16, 17, 18, 19, 20, 21, 22, 23, 24, 25. 2. 25, 24, 23, 22, 21, 20, 19, 18, 17, 16, 15, 14, 13, 12, 11, 10, 9, 8, 7, 6, 5, 4, 3, 2, 1. 10. 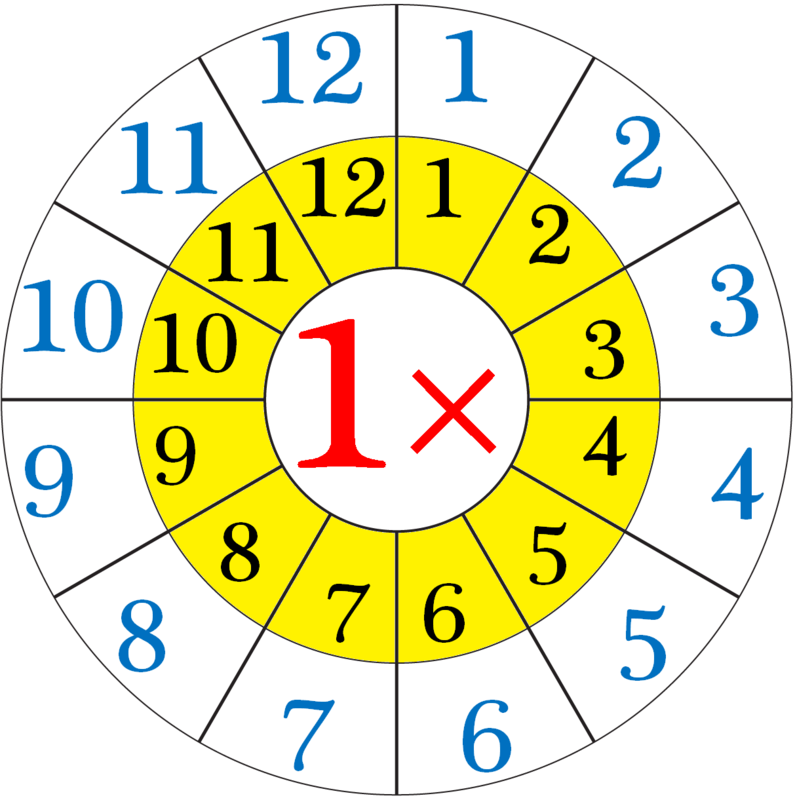 1 × 12 means that the 1 and the 12 are multiplied together or ‘one twelves’ or ‘one times twelve’.